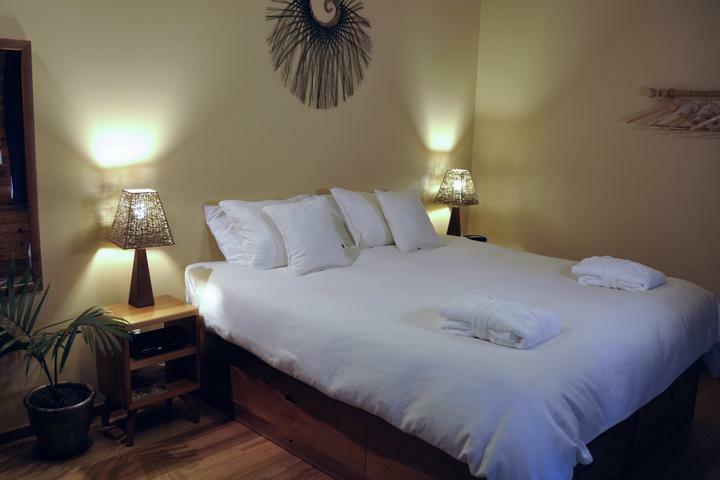 all our direct bookings receive an exclusive 10% OFF! Book direct and save 10% off the retail rates shown below. 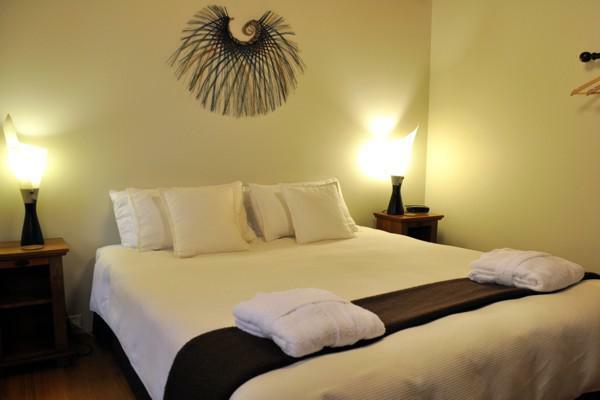 Click the button above (right) to display our "book direct" prices. 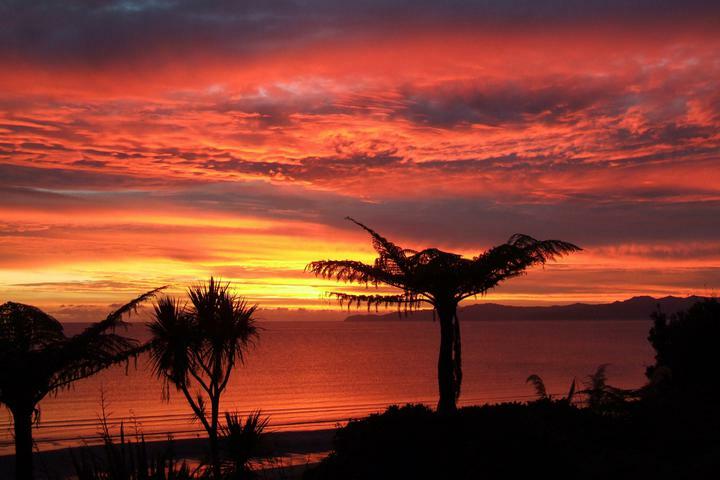 Our two beachfront villas are approximately 30 metres from our private, sandy beach and boast expansive views over the stunning Golden Bay. The spacious open-plan living room has bi-fold doors which open out to join the living room and deck. 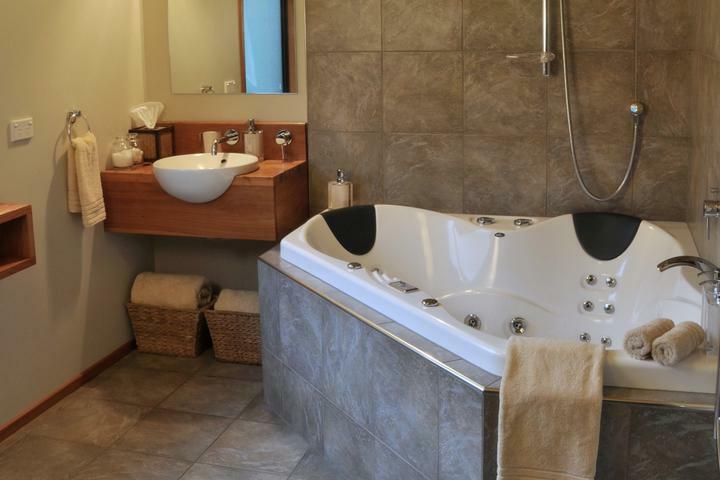 The bathroom features a large double hydro-therapy spa (jacuzzi) bath with shower over bath. A large indoor floor area (45 square metres) plus a (20 sq. metre) outdoor deck which overlooks the beach and an enclosed courtyard (37 sq. metres) with hooded gas BBQ at the rear, provides more than 100 square metres (1000 sq.ft) of personal space. 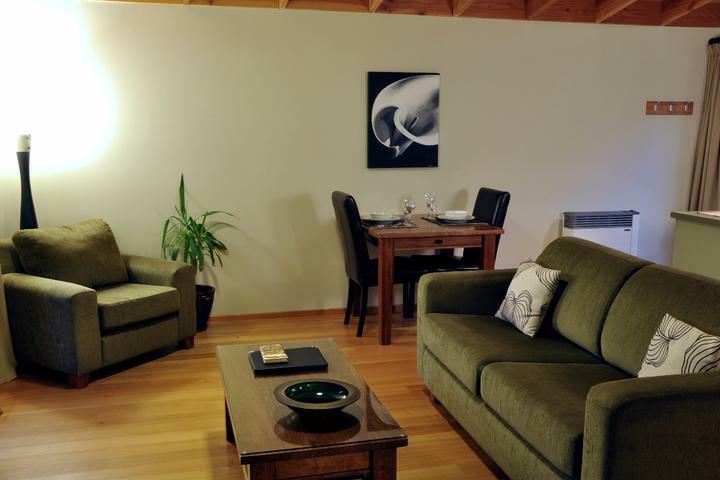 Other amenities include: Lounge settee, indoor dining furniture, television, DVD player, iPod dock, dishwasher, gas hob, fridge, microwave, toaster, kettle, king-size or twin beds, electric blankets, bathrobes, under-floor heating in bathroom, outdoor dining furniture. 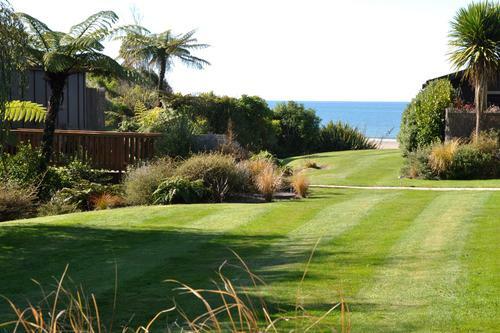 Each cottage has a private path to the beach. Daily breakfast hamper of provisions for either a Continental or a English breakfast. Daily housekeeping service. One bedroom with a king-size or twin beds which faces out towards the beach through a large bi-fold window. Designed as a luxurious accommodation for two people, but with the addition of a sofa-bed in the living room, can cater to up to three people. 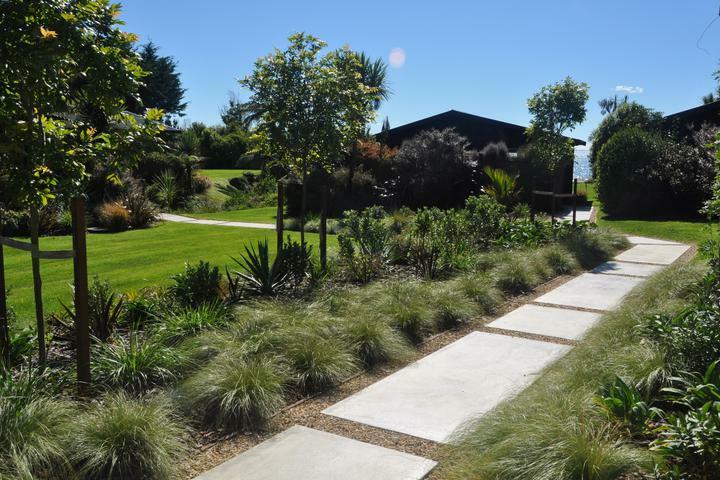 Approximately 80 metres from the beach, our two Garden Villas (previously Beachview Cottages) are nestled on either side of a spring-fed stream and are surrounded by lush garden. Both are slightly elevated for a view of the sea. The spacious open-plan living room has bi-fold doors which open out to join the living room and deck. 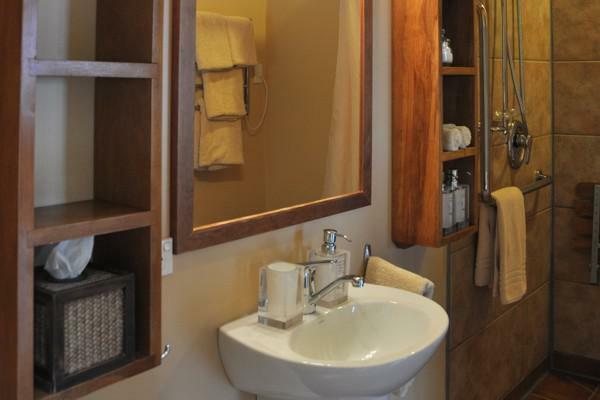 The bathroom features a large double hydro-therapy spa (jacuzzi) bath with shower over bath. Large indoor floor area (45 sq. m) plus a (20 sq. metre) outdoor deck which overlooks the beach and an enclosed courtyard (37 sq. m) with hooded gas BBQ at the rear, provides more than 100 square metres (1000 sq.ft) of personal space. Other amenities include: Lounge settee, indoor dining furniture, television, DVD player, iPod dock, dishwasher, gas hob, fridge, microwave, toaster, kettle, king-size or twin beds, electric blankets, bathrobes, under-floor heating in bathroom, outdoor dining furniture, sun umbrella, sun loungers, deck chairs and beach towels. Daily breakfast hamper of provisions for either a Continental or an English breakfast. Daily housekeeping service. With a beachfront location and a private lawn stretching approximately 45 metres down to our private, sandy beach, the Honeymoon Villa is our most premium beachfront villa. The spacious open-plan living room has bi-fold doors which open out to join the living room and deck. 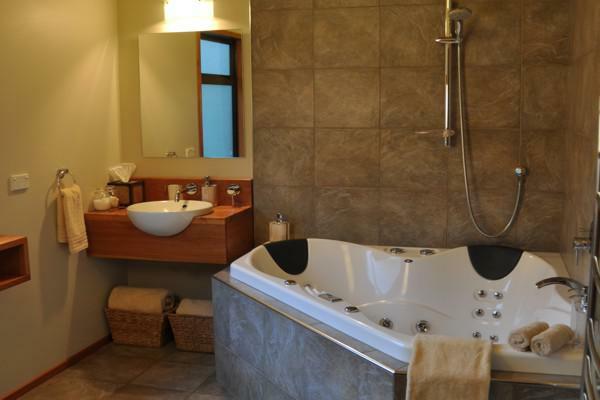 The bathroom features a large double hydro-therapy spa (jacuzzi) bath with shower over bath. A large indoor floor area (45 square metres) plus a (20 sq. metre) outdoor deck which overlooks the beach and an enclosed courtyard (37 sq. metres) with hooded gas BBQ at the rear, provides more than 100 square metres (1000 sq.ft) of personal space. Other amenities include: Lounge settee, indoor dining furniture, television, DVD player, iPod dock, dishwasher, gas hob, fridge, microwave, toaster, kettle, king-size or twin beds, electric blankets, bathrobes, under-floor heating in bathroom, outdoor dining furniture, sun umbrella, sun loungers, deck chairs and beach towels. 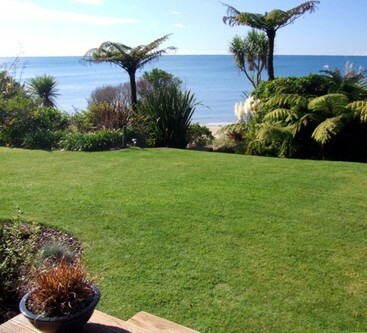 Absolute beachfront, approximately 30 metres from our private beach. 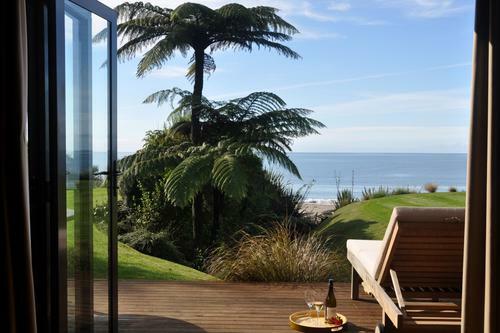 Open-plan living room/bedroom combined, with a bi-fold door that opens to the outdoor patio overlooking the beach. En-suite bathroom has tiled in-floor shower. Amenities include: television, DVD player, iPod dock, fridge, toaster, tea/coffee making facilities, super-king or twin beds, electric blanket, bathrobes, outdoor dining furniture, sun umbrella, sun loungers and beach towels. A hooded gas BBQ available but there is NO KITCHEN in the Studio.. 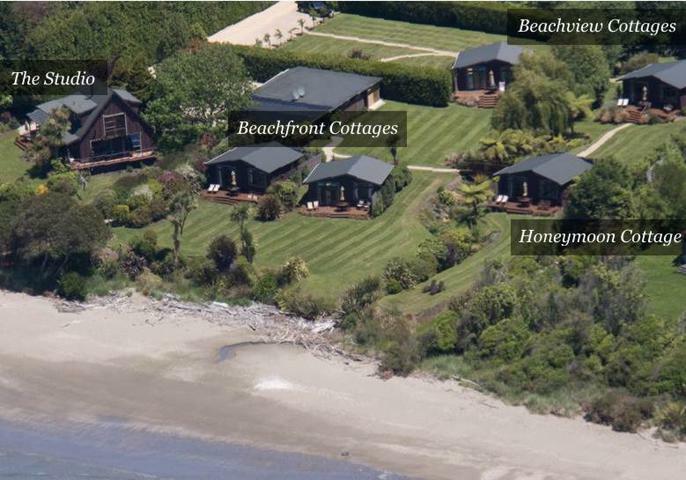 The Studio is attached to our home and has its own path to the beach. It is designed to be wheelchair friendly but the beach is not accessible in a wheelchair. Daily breakfast hamper of provisions for a Continental breakfast. Daily housekeeping service. Note:There is NO kitchen in the Studio. 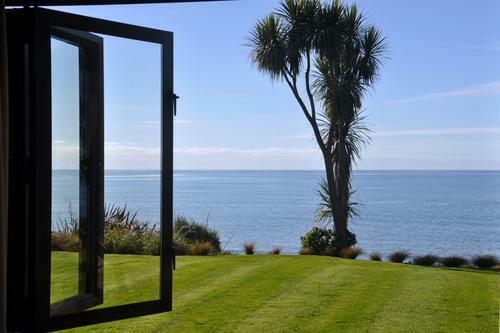 A super-king bed which faces out to the beach through a large picture window. This can be split into 2 single beds if required. 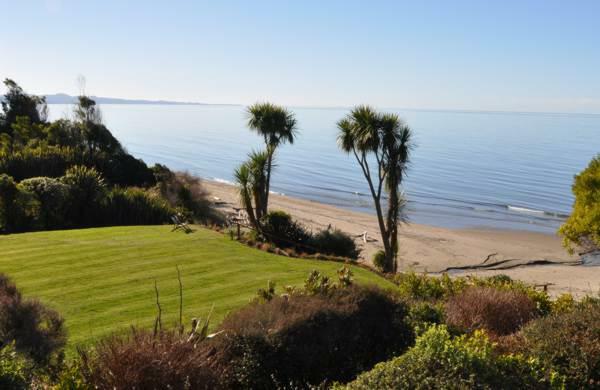 Stunning, absolute beachfront location on a quiet, private, sandy beach. A boutique, luxury resort where five villas (previously cottages) and a studio room are spread over almost 1 Ha of landscaped gardens, ensuring guest privacy and a peaceful, relaxed, romantic atmosphere. All accommodations look out over the beach and the clear, blue, sheltered waters of the bay and face east to capture the beautiful sunrise. 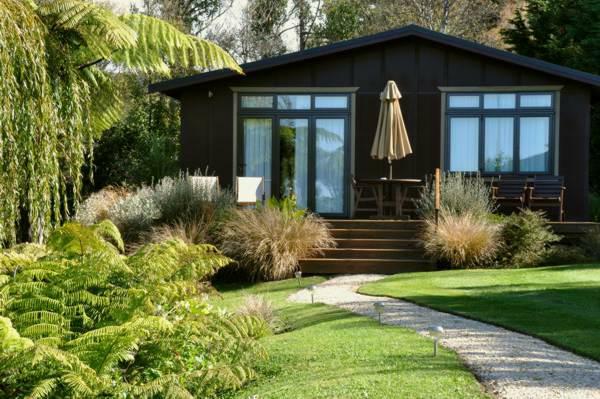 Centrally located in Golden Bay for easy access to Kahurangi and Abel Tasman National Parks and Farewell Spit. Three sit-on kayaks (canoes) and two stand-up paddle boards for you to enjoy our sheltered waters. 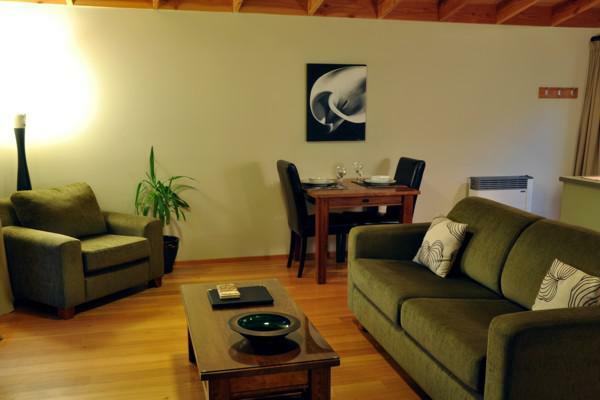 The stylish, modern interiors feature warm timbers and quality furnishings. 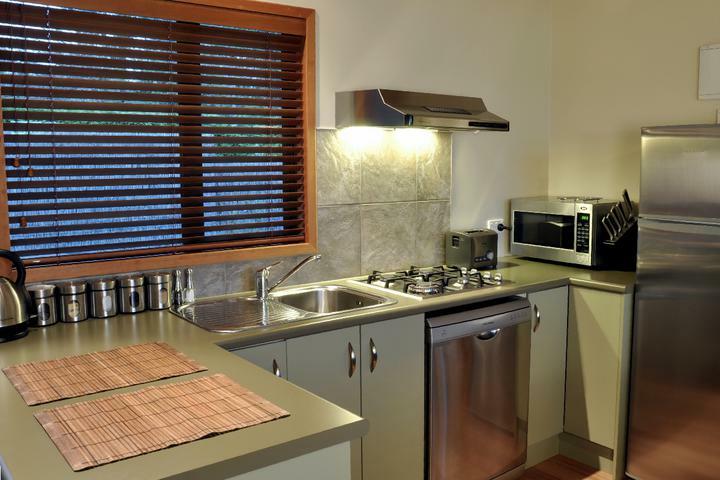 All villas have double hydrotherapy spa baths and kitchens with dishwashers. 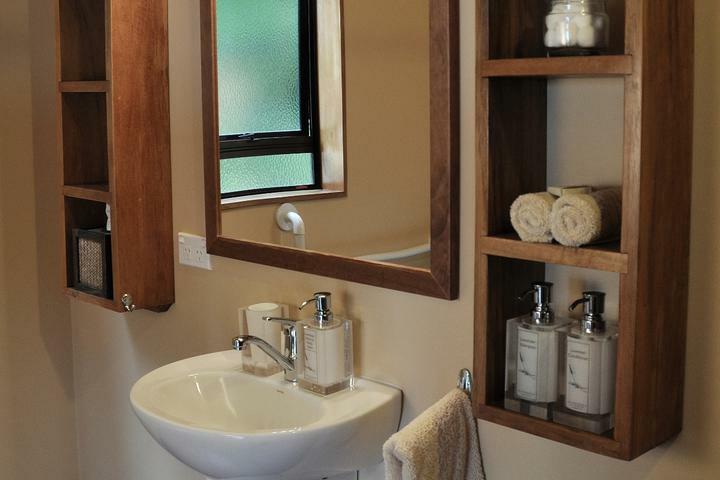 The studio has an ensuite bathroom with an in-floor tiled shower, fridge and tea and coffee making facilities. 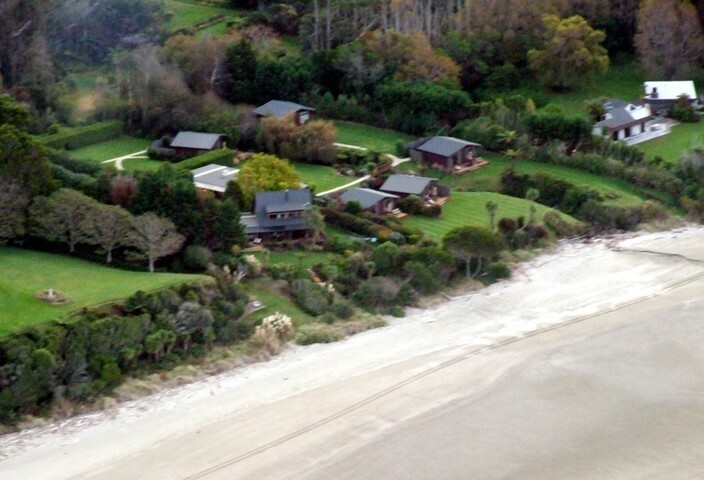 Sandy beach 30m -80m (on property). Nearest public road 1km away. Takaka 18km (15 min)- supermarket, cafes, shops, airfield. Please keep us up-to-date if at all possible with your arrival time by e-mail or text to Gordon (+64) 027 840 7064 or Emily 027 351 9253, particularly if you are likely to arrive after 6pm or at a time very different from your estimated arrival time. To find "Adrift", take highway 60 north from Takaka for 18 km. (When you pass the "Mussel Inn" you have 3 more Km). Our sign is on the right and there is also a reflective blue campground sign (a caravan) on the left of the highway which is more visible at night. Turn right down Tukurua Road beside our sign. Drive 500 metres down Tukurua Road and our driveway and signage is on the right. You will pass Golden Bay's main grocery store (Fresh Choice) on your right as you enter the town of Takaka and may want to buy provisions for your stay, they are open until 7pm each day. NB Breakfast provisions are provided for every day of your stay. A booking deposit is charged to your credit card after booking. For bookings of up to 7 nights this will be one nights accommodation. For bookings that total 8 or more nights, this will be one third of the total cost of the booking. 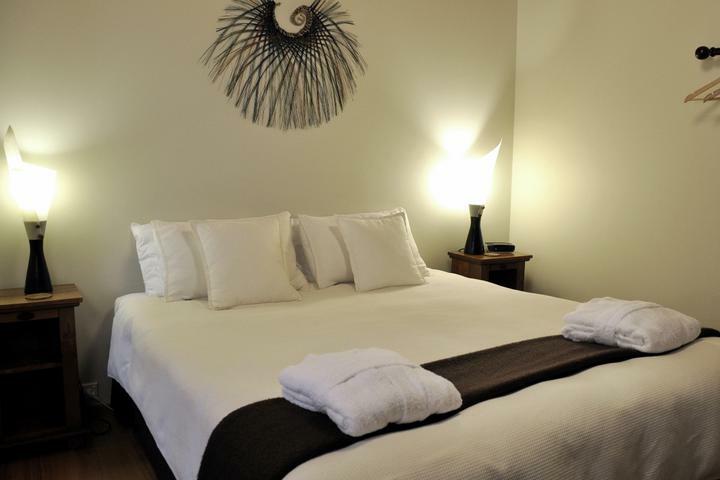 The remaining payment is made at the time of your stay by either Eftpos, Visa, MasterCard or cash. A valid credit card is required at the time of check-in this may be charged to cover the cost of any property damage, missing property, extra guests not accounted for, or excessive cleaning if the room requires this on departure. We reserve the right to charge a cancellation fee for any total or partial cancellations. 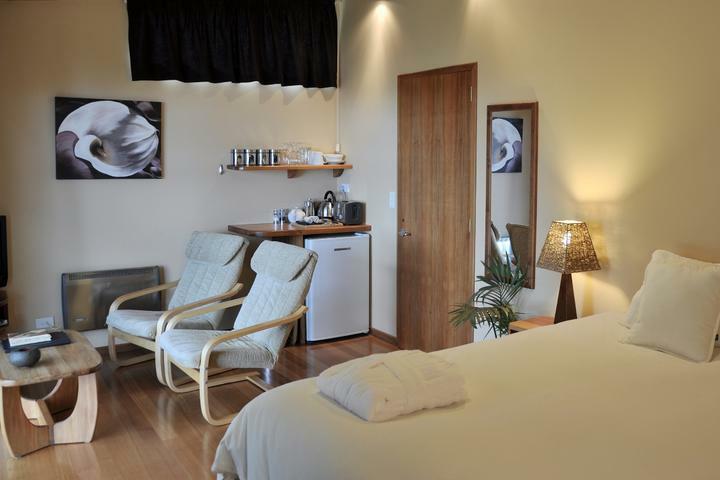 If a cancellation is made prior to 60 days of your arrival date this fee will be a maximum of: one nights accommodation for bookings up to 7 nights OR a maximum of one third of the total cost of the booking for bookings that total 8 or more nights. If a cancellation is made within 60 days of your arrival date: a maximum of 100% of the total booking price may be charged. 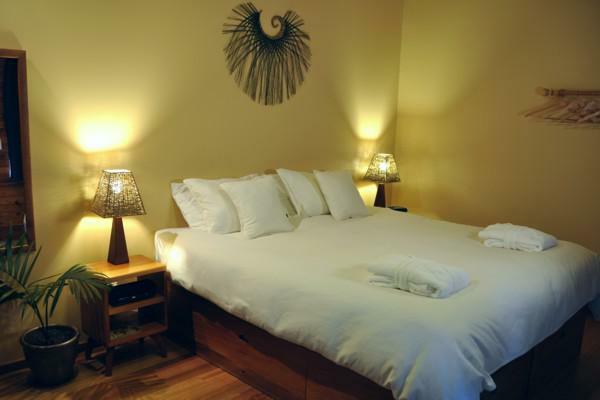 If we are able to fill or partly fill the vacancy left by a cancellation we will only charge a cancellation fee for any nights remaining vacant plus any extra costs incurred in re-booking the accommodation. Children 12 years of age and over. Normal check-in time is from 3pm to 6pm; if you are likely to arrive earlier please advise us so we can discuss the options. If you will arrive later than 6pm please keep us up-to-date with your ETA (any time before 11pm is fine if we have an ETA).